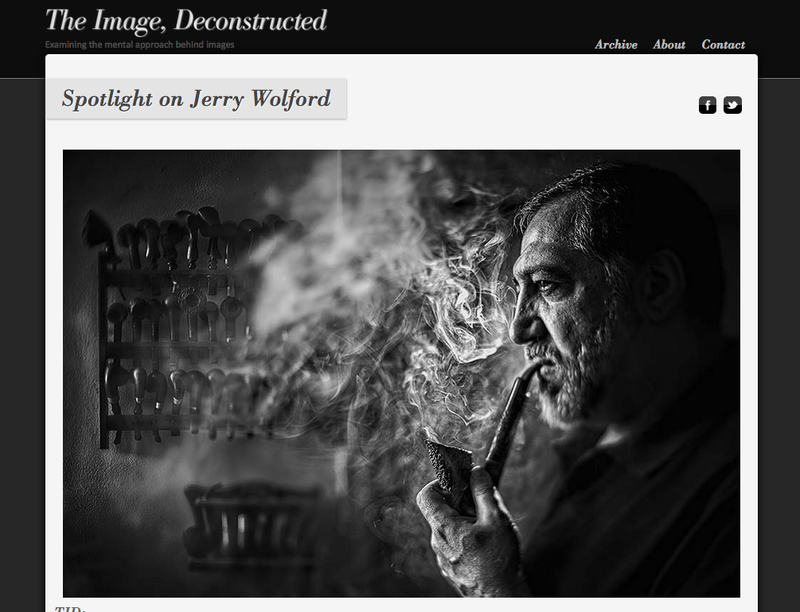 RCC alumni Jerry Wolford was the spotlight photographer for his portrait of Jim Amish, an avid tobacco pipe smoker and collector, for the Greensboro News and Record’s magazine, 1808: Greensboro’s Magazine. I love the crazy focus cutting across from the pipes, through the smoke, and onto his face while still having a shallow depth of field and going all soft in places. A really great shot.